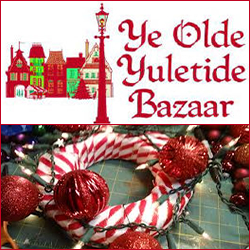 The Ye Olde Yuletide Bazaar takes place at the Parker Fieldhouse in Parker Colorado in November. Join in this annual Holiday kickoff to the shopping season in Parker as you enjoy fine homemade arts and crafts, gifts, pastries, and more. This is a very fine Holiday Boutique event, and you will not want to miss this Mountain Pine Women’s Group sponsored experience. Everyone’s favorite – the great Door Prizes – are a wonderful surprise – don’t miss out on your chance to win!